The exterior of your house tells a story to everyone passing by. A house in good repair isn’t always easy to see, as a lot of the signs are inside. The exterior, on the other hand, tells it loud and proud (or not, as the case may be). It’s important to maintain your external paint job, especially if you’re thinking of selling. Many professionals will say that your exterior needs a new coat of paint every five years or so, but it’s not as simple as that. 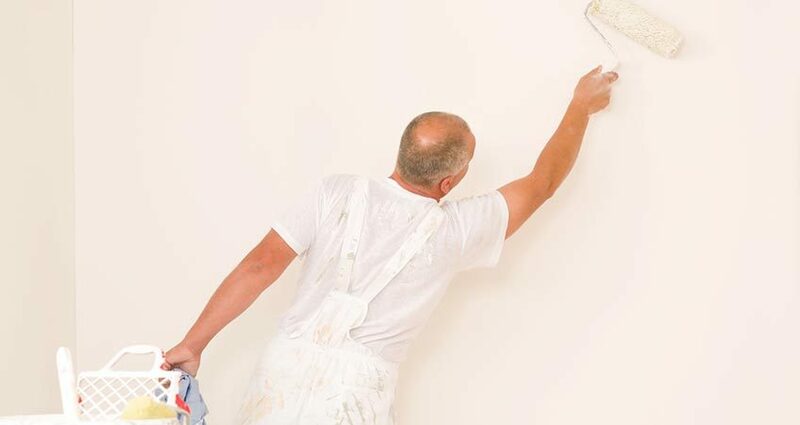 Some houses in some areas will need re-painting after only a couple of years, especially if the area is hot or coastal (or hot and coastal), whereas houses in cooler areas can go for 10-15 years. Realistically, the average is going to be around 10 years, but you may see signs before then. For a start, there’s the material under the paint, as well as the quality of the last paint that was used; then there’s the outside environment. If you are on the coast, then you’ll get a lot of salt coming your way, as well as sand and, probably, sun. These elements are tough on exteriors so a building right on the beach may need a new paint-job very other year. Further inland, and cooler, and this stretches to six or seven years. You need to choose the right paint for the job, and even the right colour, as this isn’t always a matter of taste. Gloss paints tend to show up cracks and blisters more, whereas flat or matte finishes can become chalky and even attract mildew. It can be best to compromise and choose a satin finish, which offers a third way in between the gloss and matte extremes. It’s vital to buy the best you can afford, though, as this is one of the biggest determining factors when it comes to longevity. If you cut corners here, you will be back up that ladder before you know it! Preparation is also important – the surface should be free of rot, damp, cracks, blistering or mould, as this provides a good surface for the new paint to adhere to. Just one coat won’t do, either, regardless of what the ads say! Two coats are better than one as this could lengthen the life of the paint further.